Within a short driving distance from Miami or Fort Lauderdale, Florida, the ncredible Everglades has some of the best hiking, camping and biking areas in the world. 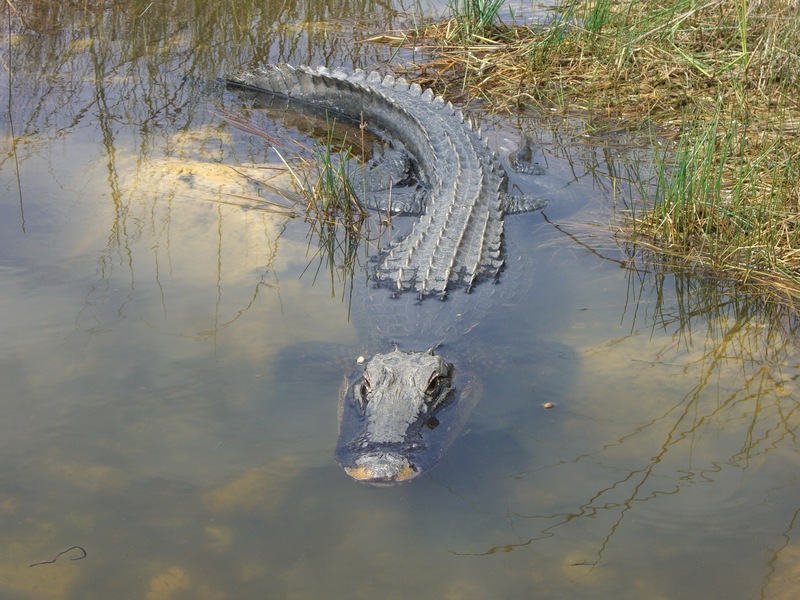 The photo of this alligator was taken in October during a bike ride around the Shark Valley region of EVerglades National Park. The wild life viewing there is spectacular and the paver 15 mile circle makes it an enjoyable day for all ages. They even have a tram that goes around the entire circle pointing out all the natural resources of the area and wildlife. Great for Tourists and those with younger children. It is also a fantastic place for biking. This is exactly why I carry walking canes with me while I’m out hiking or fishing. They definitely serve multiple purposes.